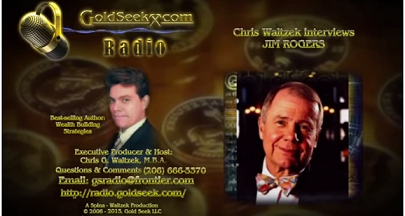 Jim Rogers, David Morgan & Peter Eliades: What In The World Is Going On? The financial situation around the world is reaching a crescendo pitch and the markets are reflecting the chaos as the crisis continues to crash deeper into instability. In this latest installment of the Jim Rogers Show, Jim and Peter Eliades discuss the current economic crisis and about the options of buying gold an precious metals. Are you prepared if the economy collapses and the Dollar loses its value? Would you be bale to feed your family and make sure their basic needs are met? The video below is chuck full of important information to help you protect your family, in the event of a complete financial collapse.